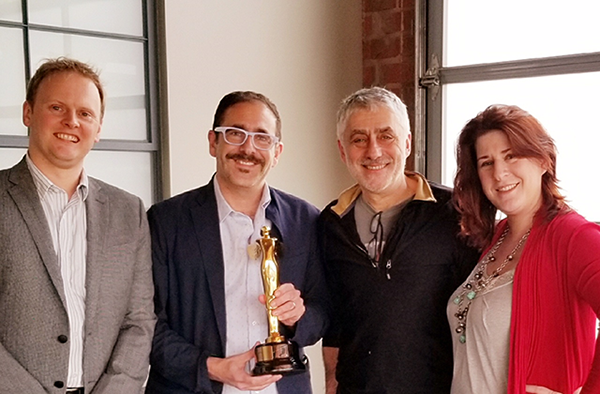 Boston, MA, USA – February 5, 2018 – Fresh off winning a prestigious 2018 Advanced Imaging Society (AIS) Technology Award, Mocha VR, developed by Boris FX, now offers stereoscopic 3D enabled post-production tools for 360/VR video creators. The Mocha VR point release (5.6) adds a powerful new workflow to the groundbreaking plug-in bringing stereo-optimized planar tracking, masking, horizon stabilization, and object removal tools to Adobe® Premiere Pro® CC and Adobe After Effects® CC, key tools within Adobe Creative Cloud®. 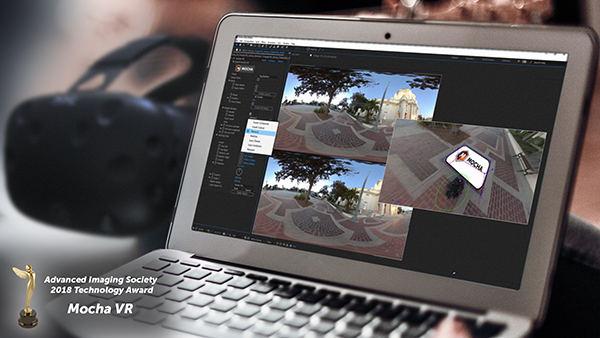 Mocha VR 5.6 is a free update for owners of the multi-award winning plug-in. The new stereo 3D workflow supports most common 360° formats, including top/bottom, side-by-side, and dual stream, and also includes improvements to the Reorient Module for advanced image stabilization to reduce VR motion sickness. Since its release last year, Mocha VR has been adopted by some of the biggest names in the growing immersive video industry, including: The NY Times VR, Felix & Paul, Ryot, Digital Domain, Here Be Dragons, Light Sail VR, and more. Mocha VR is available as a plug-in for Adobe’s immersive workflows. Purchasing options include: full license ($995), annual subscription ($295), and upgrade from Mocha Pro 5 ($295). For more information, please visit: www.borisfx.com. To request a copy of Mocha VR for product review, contact Jessie Electa Petrov, Director of Marketing, jessiep@borisfx.com. Founded in 1995, Boris FX is a leading developer of VFX, compositing, titling, video editing, and workflow tools for broadcast, post-production, and film professionals. Boris FX products have grown to serve over a million artists worldwide. The company’s success lies in its ability to tightly integrate and leverage technologies through strong partnerships with Adobe, Apple, Avid, Grass Valley, Nexidia, Sony, Quantel, and other leading developers of video editing software. In 2014, Boris FX acquired Imagineer Systems, the Academy Award-winning developer of Mocha planar tracking software. In 2016, Boris FX acquired GenArts, the developer of Sapphire, the gold standard plug-in package for high-end visual effects creation.